In principle, you are not obliged to directly provide any personal information when using our website. • your computer’s operating system and browser software. • protection of our legitimate interest (Art 6(1)(f) GDPR) (ensuring the stability and security of the website, defence of legal claims). We process your personal data, to the extent necessary, for the duration of of the individual services (e.g. inquiries, reports, newsletter), and, further, in accordance with the statutory data storage regulations and documentation obligations and/or as long as we have a legitimate interest in storage to be able to defend against any liability claims. 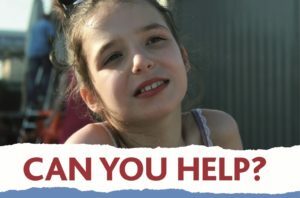 Your data are transmitted to the Board members of Rett Syndrome Europe (and volunteers, mentioned on http://www.rettsyndrome.eu/association-rse/board/) that need them to fulfil our obligations and to protect our legitimate interests. In addition, we pass your data on to processors commissioned by us who need them to perform their respective tasks. All processors are contractually obligated to treat your data confidentially and to process them only within the scope of the performance of services. Our processors have committed themselves to compliance with the applicable data protection regulations, and they have signed processing contracts in accordance with Art 28 GDPR. You can request further information on the processors commissioned by us from stella.peckary@gmx.at. For instance, the software service company commissioned by us to manage our website may gain access to your personal data during its activities if this is necessary for it to fulfil its services. Our website uses so-called cookies. Cookies are small text files used to identify the user and analyse your use of our website. The data generated in this way are transferred to the provider’s server and stored there. They generally serve to enhance the user-friendliness, efficiency, and security of our website. Cookies also gather statistics on website traffic and are used for general navigation. They do not cause any damage. You may revoke your consent at any time by sending your revocation to: stella.peckary@gmx.at. In the event of revocation of consent, the lawfulness of the processing carried out on the basis of the consent until revocation is not affected. If you participate in an event organized or (co-)managed by us, the data you provided upon registration (usually name, email address, company) will be stored for up to 2 years based on the performance of the contract or our legitimate interest about organization and follow-up support. 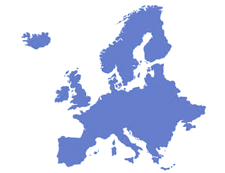 Your data will only be processed within Rett Syndrome Europe. In principle, you have, at all times, the right to be informed, the right to rectification, the right to erasure, the right to restrict processing, the right to data portability, the right to revoke, and the right to object. If you believe that the processing of your data violates data protection law or that your data protection rights have otherwise been violated in any way, you can submit a complaint to the supervisory authority. The legal basis for any direct mailings you may receive from us (e.g. a postal invitation to an event) is our legitimate interest. However, pursuant to Art 21 GDPR, you have the right to object at any time to processing of personal data concerning you. Please send your objection to stella.peckary@gmx.at.